Many thoughtful Jews, inside and outside Israel, debate philosophical issues about the entire basis on which the state, and especially such a government as that of Mr Netanyahu, conducts its policies. 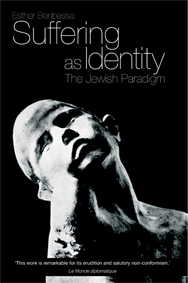 French historian Esther Benbassa has just published a notable book called Suffering As Identity. She argues that Jews must look to the future rather than the past and cease to define their world view in terms of the Holocaust, ruthlessly politicised since the 1950s. “How can Israel base an entire national identity on the genocide,” she asks, “and bind its youth to this history of suffering, which turns peace with the country’s neighbours into an increasingly abstract notion? Read the full article here (registered website users only).